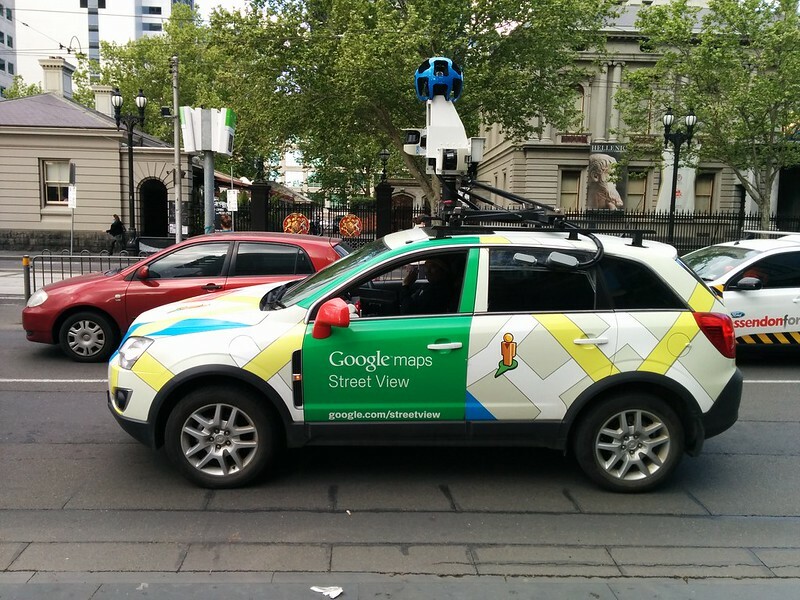 Last night this Google Streetview car was cruising along William Street outside Flagstaff station. The driver waved back as I took the photo. It’ll be interesting to see how long the photos it was (well, may have been) gathering take to get online. Last time it was over a year, but from what I hear they’re getting much faster these days — perhaps a matter of weeks. Did the driver feel like his privacy was violated when you took his picture? I see this (?) car drive down Royal Parade toward the city nearly every morning. If it was driving north on William Street in the afternoon I’d guess that it was returning to its storage location rather than photographing the city (looks like the last shots of William Street were only taken two months ago). Presumably this time they are sticking to the point. Well Daniel, I’ll make sure to look at this intersection over the coming months in the hope for your face partially concealed behind the camera! @Roger, he waved back. In a friendly way, I should add. @Mark, you may have a point. @Chris, yeah a Streetview car was spotted in the area in May: https://twitter.com/danielbowen/status/471606541032763392 … but the current online pictures in that area appear to be from August. That said, I spotted it again today in Flinders Street, so it does appear to be doing the rounds of the CBD at present. I guess that Google would have many of these cameras, so that would not be the same one on the back of a camel in Saudi Arabia right now?